The TRADE > Blog > Broker competition: just cause for regulatory intervention? Broker competition: just cause for regulatory intervention? 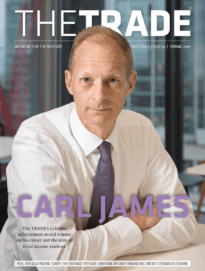 The first TRADE Agora, held in London on 21 June, took on the often overlooked subject of broker selection, illustrating how the complex issues involved are intrinsically linked to many other major industry themes, writes guest blogger Richard Balarkas. Of the many points addressed, two stood out. First, the industry would welcome regulators paying more attention to competition issues. It was acknowledged that at a European level the decoupling of competition issues from market regulation had undermined MIFID and limited the potential benefits that might have been achieved, especially in the retail sector. The Financial Conduct Authority's reported desire to ensure competitive dynamics are given full consideration as they write any future rules was also welcomed. Second, despite the amount of TCA-related data available, the industry still has some way to go to establish the value of good execution services. This fact has not however curbed the unrelenting squeeze on the explicit costs of trading, in the form of commission. The resultant pressure on brokers' margins is itself a reason why execution performance may be further compromised as brokers look to sacrifice optimum execution performance for the client, in favour of execution policies that help them sustain increasingly threatened margins. Whilst the first TRADE Agora did not identify any panacea for the many and varied problems associated with broker selection, it did demonstrate that you do not need a large gathering to have a lively debate. In attendance were representatives from bulge bracket firms, independent brokers, agency brokers, outsourced dealing desks and exchanges. The tempo was maintained by the main industry representatives on the panel, Brian Gallagher from Morgan Stanley and Adam Toms of Instinet, neither of whom shied from addressing the issues head on, and a highly pro-active audience led by Alasdair Haynes from Aquis Exchange, James Cooper from Societe Generale Tourmaline and Peter Howard from Bloomberg Tradebook. www.thetradenews.com will be posting a full report on the discussion in the next day or two and we're already putting plans in place for the next TRADE Agora, scheduled for 9 September, on the sometimes sensitive subject of dealing outsourcing. 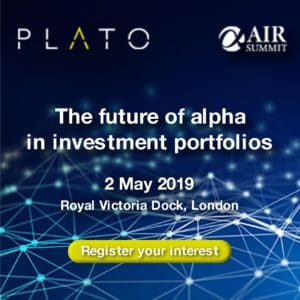 Richard Balarkas is a leading figure in securities trading currently acting as an independent advisor to brokers, exchanges and fund managers.